It’s probably fair to say that most of us wish for a fairytale wedding right? Well you probably couldn’t choose more of an idyllic wedding venue than an actual castle; Powderham Castle, in Exeter to be more precise! 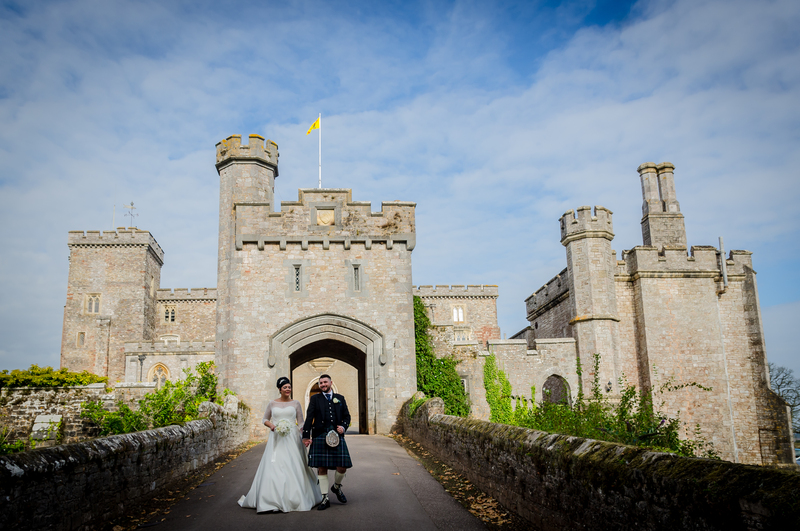 During our first wedding consultation with Emma and David, at Emma’s Mum’s house in Paignton, we were told that the plan was to have a ceremony at the lovely Powderham Castle and bring the 50+ wedding guests back to Emma’s Mum’s house for an evening celebration. Budget savvy Emma knew that by doing this, she could have the dream venue that she loved, without going overboard. However, this was not how their wedding ended up. It’s safe to say that the more thought that Emma and David gave to their wedding plans and after multiple visits to Powderham, they were falling in love with the venue more and more. 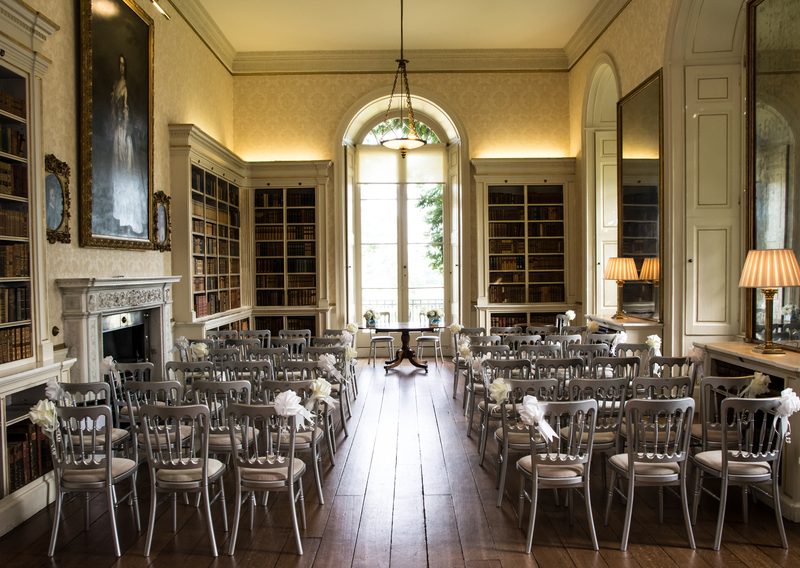 The decision was made to hold the whole day at the castle and make the most of it’s wonderful grounds and the grand splendour of it’s many feature-full rooms. So the day they had been waiting for finally arrived. A later ceremony (3pm) meant that Matt and I had an unusual start to the day… we were able to sleep in, rather than waking up to our usual 6am alarms! David and his best Man, Ricky, had the pleasure of using the bridal suite at Powderham Castle to get themselves ready. This gave me lots of opportunity to capture some great photos of them getting ready in an inspiring room. A piano in the corner, Zebra print on the floor and rich wood panelled walls meant the room was full of features. The table, in front of the window, had tons of character, allowing me to capture this shot of David’s wedding gift from Emma. David and Ricky were calm, relaxed and having a good laugh… surely the nerves were in there somewhere. Emma, opted out of having the typical getting ready photos on the morning of the wedding. She simply wanted a few photos of her in her dress once she was ready. For Matt (senior), who is always with the brides on the morning of the wedding, not seeing the bride getting ready meant that his reaction upon seeing Emma in her wedding dress for the first time, gave him some idea of how David might feel later that day. Emma looked stunning and David was in for a real treat. The nerves were starting to show a little, with both David and Ricky having a swift glass of Prosecco to help them along the way. Not helped by the layers of Irish Tartan, there may have been a bead of sweat or two as David spent the rest of his afternoon adding some small finishing touches to the rooms. Ricky and David then enjoyed a quick photoshoot around the grounds, whilst Emma and her Bridesmaids made their way from Paignton, in matching white Range Rovers no less! Most of the guests arrived together, on a bus that Emma and David had arranged. This was a great way to make it easy for their guests. The Powderham Castle Staff were excellent and welcoming everyone into the castle, seating them ready for Emma’s arrival. Emma and her Bridesmaids arrived in good time, saving David any more nervous moments. Emma, stepped out of the Range Rover, in front of her fairytale castle, looking absolutely stunning, composed and ready to go. Accompanied by Peachy, (their beloved family dog/baby, who was also acting as ring bearer) Emma made her way into the ceremony room and the moment we love most at every wedding unfolded; the Groom saw the Bride for the first time. We always make sure that one of us is poised ready to capture this moment, whilst the other photographer captures the Bride’s walk down the aisle. 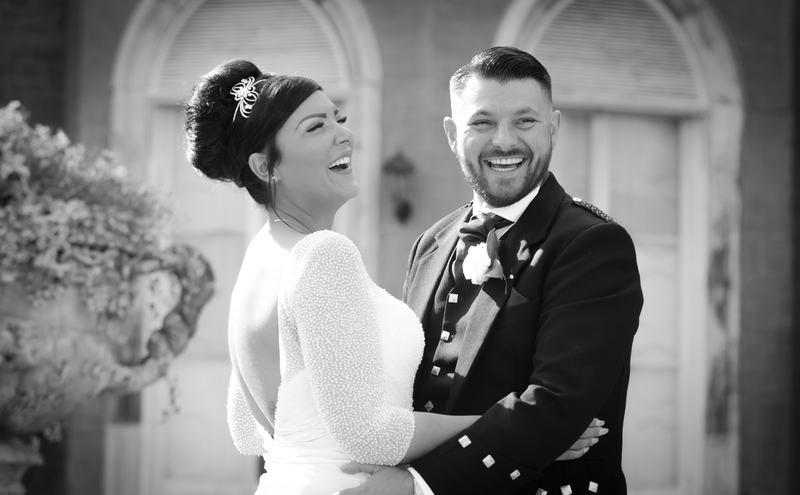 An emotional ceremony was quickly followed by a drinks reception in the beautiful gardens of the castle. With Deer dancing and prancing in the fields just fifty yards away and glimpses out over the countryside towards the River Kenn, it was an unreal setting, enjoyed by us as well as the wedding guests. Once Emma and David… I mean the new Mr and Mrs Dobson-Birch had mingled with their guests, it was time for their newly wed couple photo shoot. We look forward to this time with couples the most, as we get to explore the venue grounds and capture the first moments as husband and wife. 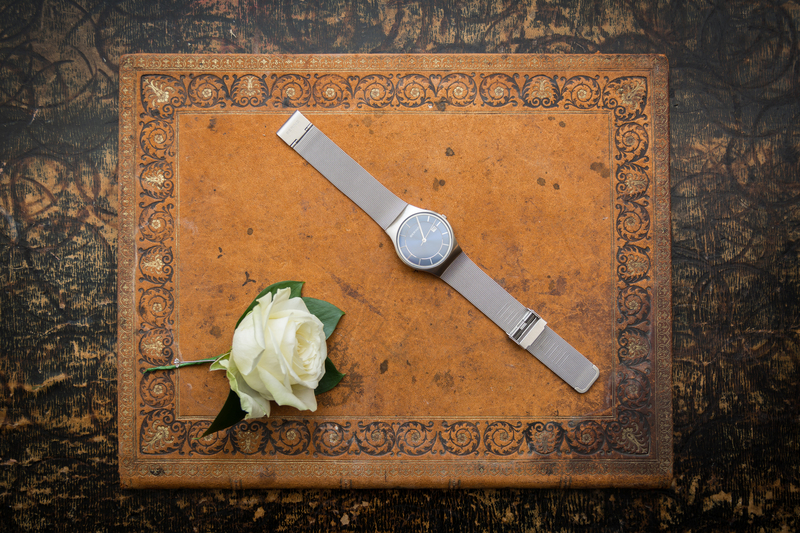 This time gives our couples a chance to breathe, after what’s almost always a hectic day. Now beginning to both relax (a couple more glasses of Prosecco may have helped with this) Emma and David enjoyed some time alone. Throughout the whole day, Emma and David were a great laugh to be around. This was evident even more so when w e got them together; it was a treat to see their faces light up when they were around each other and made for some really fun and expressive photos. The moment that the majority dread the most, or at least those who are involved. Rather than a formal wedding breakfast, Emma and David enjoyed a more laid back buffet, although until the speeches were over, I don’t think best man Ricky, enjoyed his food much. Ricky gave a great speech, full of stories of legendary dance moves and unlikely meetings, the father of the Bride followed suit, with David following shortly after. David’s was an unscripted, emotional and heartfelt speech that definitely had people reaching for the tissues. You may expect the speeches to finish there, but nope! Next up was Emma, who wanted to give a speech also. Knowing Emma how we now do, it would not be the same wedding if she didn’t have her say! They certainly saved the best speech until last. Emma delivered an amazing speech, offering her thanks and gratitude to everyone who helped with the wedding, none more important than her mum. It was clear to everyone in the room, how much her mum meant to her and how much of a role-model she has been. Emotions now back under control, and after cake cutting and the first dance, the room was transformed and it was clearly party time! The arrival of evening guests, the DJ playing the tunes, the photo booth mirror and of course the flow of drinks, kick started what was bound to be a great celebration of this new marriage. 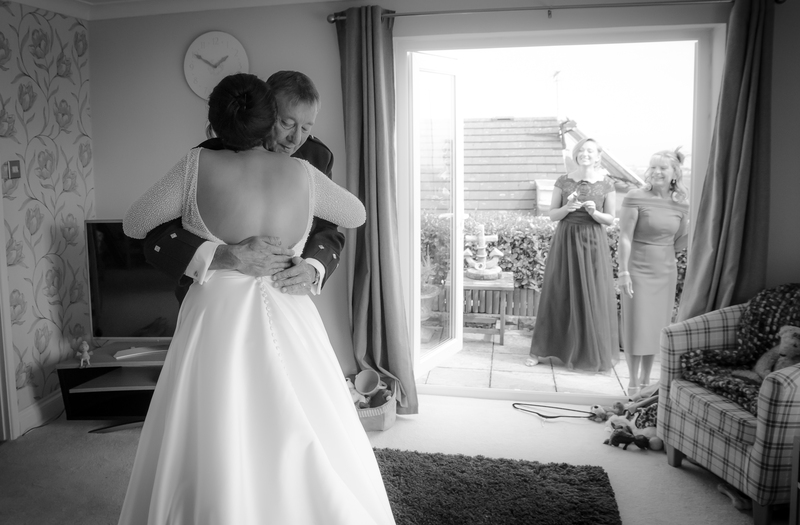 We would like to thank Emma and David for choosing us to capture their wedding day. We had great fun and wish them every happiness, in a long and loving marriage together.